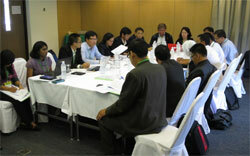 SEAFDEC with support from the SEAFDEC-Sweden Project organized the Experts Group Meeting on Regional Plan of Action on Sustainable Utilization of Neritic Tuna in the ASEAN Region in Krabi Province, Thailand on 18-20 June 2014. 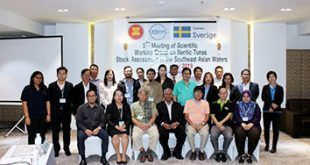 The Meeting was attended by representatives from Cambodia, Indonesia, Myanmar, Philippines, Thailand, and Vietnam together with their respective delegations, and senior officials of SEAFDEC. The Meeting was also attended by resource persons as well as representatives from the Embassy of Sweden in Thailand, ASEAN Tuna Working Group, ASEAN-USAID MARKET Project, Sustainable Fisheries Partnership, and the USAID Regional Development Mission for Asia. 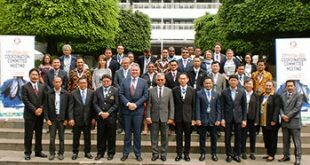 After the discussion, the Experts Group Meeting adopted the 1st draft of the Regional Plan of Action on Sustainable Utilization of Neritic Tunas in the ASEAN Region (RPOA-Neritic Tuna) and the draft Capacity Building Program to support the implementation of the RPOA-Neritic Tuna. 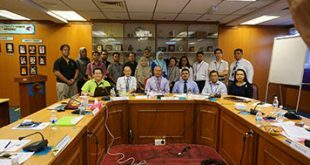 The Meeting agreed that these draft documents should be discussed more thoroughly by the ASEAN Member States before the final draft documents could be submitted for consideration of the ASEAN and SEAFDEC authorities through the respective ASEAN and SEAFDEC mechanisms.